Orange España is mulling a possible move to acquire northern Spanish regional cable operator Euskaltel, according to local reports. According to El Economista, citing unnamed sources, Orange – Spain’s number three operator ­after Telefónica and Vodafone – is still at an early stage of a possible acquisition of the Basque Country-based player, but has been mulling such a move for some time and has submitted it to a close analysis. This latest expression of interest in Euskaltel follows UK investment group and Euskaltel shareholder Zegona Communications’ decision to withdraw an offer to acquire an additional 14.9% stake in the regional cable operator on top of its existing 15% stake, citing deteriorating conditions in the equity market. That move would have established Zegona as Euskaltel’s largest shareholder and enabled it to bring forward plans to revamp the company’s management and introduce the Virgin brand in Spain as a vehicle for the company’s expansion outside its core northern Spanish region. 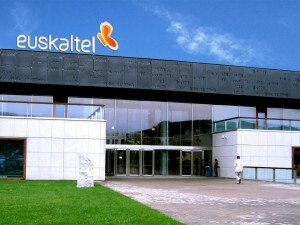 Zegona had planned to bring in former Jazztel CEO José Miguel García to join the Euskaltel leadership team. Alternative telco Jazztel was acquired by Orange in 2014. Euskaltel already has a close relationship with Orange, using the latter’s network to provide mobile services to its customers. More recently, it has leaned on Orange’s fixed presence across Spain to expand its offering into the Navarre region and – through a recent partnership with automobile club the RACC – Catalonia. Euskaltel has also partnered with Spain’s fourth-ranked operator MásMóvil, to build a pilot 5G network in San Sebastian, and there has been speculation that these two companies could also combine to compete nationally with the major players.